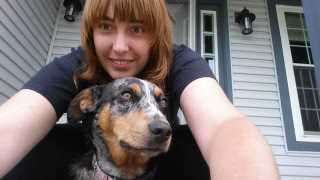 I have a Australian shepherd/Australian cattle dog Mix. Her and I go for walks, car rides, hikes, camping, and runs. I love spending time with her!! I have had her for 3.5 years and she is 4.5 years old. I rescued her. I have the magic hands. I took classes in vet tech. I spend each and every moment looking after and caring for your animal like it was my own. I love seeing pets happy and healthy and love to see them grow! Danielle's Pet House Sitting service is located in or nearby Hebron, Ohio. Book via PetBacker for Insurance, Payment protection & 24x7 support.